As promised, last week I mentioned that I stumbled upon a vinegar cake and I was inspired to try a healthier alternative. Though a vinegar cake in itself is dairy-free. I wanted to see what I could come up with on my own. My first trial run with this recipe was a success. I was so surprised at how yummy this recipe turned out. I even had the Mister try it and he loved it. It's so decadent, moist and very flavourful. It was so good that I made it for a second time on Sunday and I honestly ate most of the cake that day. It was that good! This time around I did not dust the cake with Cacao powder because I really didn't get the chance and it's actually delicious without or without it. I typically always keep homemade oats flour on hand and I ran out and had to make more. That's another super easy recipe that I can't wait to share with you guys. It's so easy to make homemade oats flour only two ingredients! Anywho, have you tried any new recipes lately? In a separate small bowl, add maple syrup, vinegar, vanilla, water, and to the dry mix. Combine the wet ingredients to the dry ingredients and mix everything together. Grease an 8×8 baking dish and pour batter into baking dish. Let cool and dust with cacao powder or powdered sugar. I have to give this a try. Looks yummy! This cake looks delicious! I love that this cake is vegan and I'm looking forward to learning how to make my own oats flour. 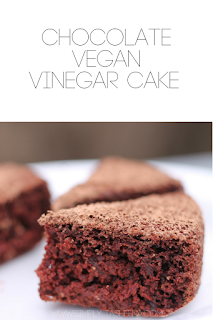 Funny I just posted about a chocolate vinegar cake. Very moist and delicious. Never seen anyone else use vinegar before. Do you know what the vinegar does for the cake? So easy to make and doesn't last long. Now this sounds like a delicious chocolate cake to try! 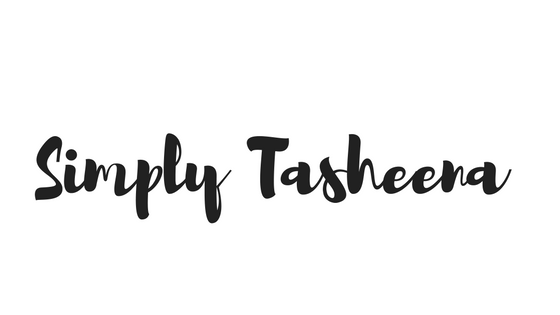 It is amazing all the different vegan recipes I am seeing at the moment I need to try them! This vegan chocolate vinegar cake looks so delicious and easy to make. This would be perfect for easter dessert! That cake looks absolutely delicious! I would love to try the cake. I have friends that are vegan that I'm spending the weekend with and I think this would be a great dessert for all of us. I love chocolate cake. I've heard of making cake similar to this, sounds strange, but I bet it's delicious! 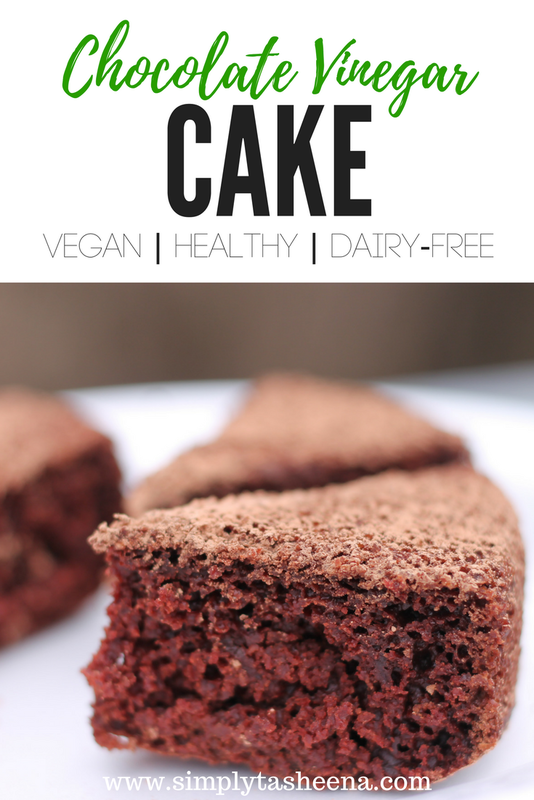 I love anything healthy and good for me, which is why it would be nice to try this cake recipe. It sounds amazing and it's not that difficult to make either. I tend to love anything with chocolate in it so I'll have to make this. I admit, I've never baked with vinegar, but I'm intrigued! These really looks wonderful. I love how you are using syrup as a sweetener. Our daughter is vegan, so we are always looking for new recipes to try. This looks and sounds fantastic. I'm pretty excited to give it a try. My gosh vegan choco cake? Yes please!!! I would love to try this asap. Now my sweet tooth won't be super guilty. Thank you for this. I cant wait. What an interesting recipe - I'll have to give this a try. Nice to have some good vegan recipes to use! Oh I am totally sharing this with a friend. She really loves making this kind of stuff. I can't wait to try your recipe! I've been trying to live a vegan lifestyle 4 times a week....moving slowly towards it! Vegan chocolate cake? I’m so sold! I want to make this very soon! Wow, I must confess, this is my first time to read about a vinegar chocolate cake. Curious on how it taste like so I would definitely add this on my 'to cook' list.